On Friday Elon Musk posted a photo of himself on Instagram with one of the boring machines used by his tunnelling business, the Boring Company. Musk has used humorous and unconventional methods to raise money for the company, including selling branded hats and flamethrowers. On Friday, Musk posted a photo of himself on Instagram with one of the boring machines used by his tunnelling business, the Boring Company. Musk referenced Dan Hill’s 1994 song “When We Touch,” in the post’s caption: “Deep in the hole with my boring machine. Sometimes when we touch, the honesty’s too much …,” Musk wrote. 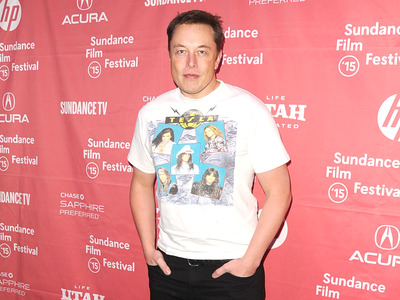 Musk has used humorous and unconventional methods to raise money for the Boring Company. In October, Musk started selling a limited number of $US20 hats bearing the company’s name, and in January, Musk made branded flamethrowers available for $US500 each. A prior version of this story incorrectly indicated that Dan Hill’s song “Sometimes When We Touch” was released in 1994. The song was released in 1978.